Palma de Mallorca is the capital city on the island of Mallorca (Majorca). It is often called Palma for short. On this page you will find listings of any job vacancies in Palma de Mallorca (at the bottom of the page) as well as our tips and advice on where to find jobs. If you want to receive email job alerts then just add your details in the subscribe box in the right-hand sidebar. The Balearic island of Mallorca has as its capital, the city of Palma (or Palma de Mallorca) with a population of over 400,000. This is the place in Mallorca to find permanent all-year round work as opposed to the many tourist destinations which tend to be best for seasonal, summer jobs and work. The two biggest mass tourist resorts are Magaluf and Palma Nova. Parma attracts a lot of city break tourists who come here to enjoy the superb waterfront setting, historic city centre, excellent shopping, bars and restaurants as well as impressive tourist attractions such as La Seu, one of the world’s largest Catholic cathedrals. The Port of Palma has large cruise liners arriving from all over Europe. Palma’s main shopping street is the Passeig des Born with many famous designer stores. The Porto Pi shopping center is south-west of Palma near the resort of Cala Mayor. This would be the source of retail and shop work. Palma is the place in Mallorca to find office and admin jobs with the major companies who are based here. You will definitely need to be fluent in Spanish. Our main page on finding jobs on Mallorca is a must-read as it has many useful employment resources such as jobs sites and forums and contact details for employment agencies and classified newspaper job advertisements. Getting to Palma is easy as this is where the island’s international airport is situated. Son Sant Joan airport is just 5 miles (8 km) east of the city. There is regular bus service (every 15 minutes) from the airport to Placa Espanya and Passeig Maritime in the Palma city centre. This is the official Palma town council website with a portal for all sorts of useful information. Palma Employers – Please list your vacancies below – it is free of charge. Searching for jobs available – them below for free. My name is Rachael and I am currently living in Santa Catalina (Palma de Mallorca) and I’m looking for work to start as soon as possible in any area of Mallorca. I have nearly a year’s worth of administration experience working for a Court Reporting firm in London in the UK which also included a lot of customer service. Previous to that I worked in a bar for two years where I also gained a personal license to sell alcohol, I believes this shows I am versatile and hard working. I currently have a basic understanding of Spanish but I am still learning. Please do not hesitate to contact me if you have any vacancies related to the above. We are looking for some staff for our bar at Santa Catalina, it is very new and we need someone who can speak Spanish ad English. its a very chic and new bar which we are currently opening soon. We need someone who are versatile, fun loving and passionate. I’m William . I speak Spanish and English . I have long experience in customer service. I have worked in Pubs, coffee shops and restaurants. Actually I live in London but I would like to move to Palma of Majorca. Hi there a proven multi cuisine chef from Ireland moving to Spain in 2016 looking for a head chef position or would consider sous chef . I have worked all over the world and classically trained in all aspects of kitchens . 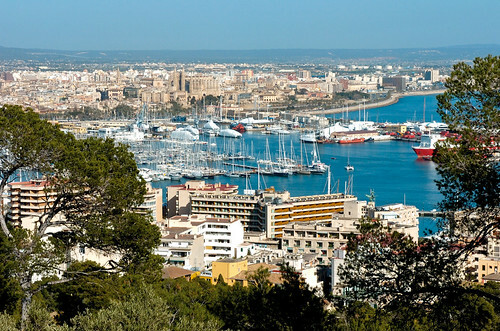 Im planning on going to Palma de Mallorca within the next two months or so…. I am a sailor but would like to do a part-time job as well to help make ends meet. I have a lot of bar job experience and would ideally prefer that as a secondary income. I speak fluent English and Afrikaans with basic Dutch. Is there any places you could recommend for me to check out and possible vacancies available? Looking forward to hearing from you all soon. Hello! My name is Pia, I am. Thai chef and have 5 years experience. I am looking for hotel job as a Thai chef or chef’s helper. I would like to move to Mallorca because I love Baleares Island. I live about 5 years in Menorca but now it would be nice to move to the next Island. I speak fluent Englisg and I have been to Spanish class for over a year. I also have a good skill of Thai massage with a National skill testing certificate from Thailand. I hope I could find some job over there and I am ready to move.